The average urban adult spends more than 6 hours in front of a digital screen. This comprises at least 60% of the people residing in the US. While mobile technology is making our lives a lot easier, it’s taking a huge toll on our health in sneaky ways. The same amount of time you save by not stepping out in the cold to get your dinner you’ll spend using your smartphone to order the dinner and in that way expose yourself to a lot of blue light coming from the mobile screen. You may think about taking a nap while your dinner is being cooked in some remote kitchen and until someone brings it to your doorstep, but all the light coming from the screen of your smartphone makes falling asleep less likely to happen. Blue light is not the newest fad. It is indeed causing a stir in the scientific community as well as among the common people. Blue light is not a discovery, but its effects on human health open new avenues for understanding of light energy in eye physiology, human circadian rhythms, and behavior. Getting to know about something as common, yet less understood as blue light is very important since flipping the light switch on, checking the messages on your phone or stepping out during the day can instantly expose you to a deluge of blue light. You may want to believe that you can limit your exposure to blue light by staying indoors, applying screen filters or switching to yellow lights, but how much of it works? How can you ensure that your health and your eyes are not always at risk of blue light exposure? Keep reading to find out about the true nature of blue light and what you can do to protect yourself from it. How are blue light and sleep connected? How are you increasing your daily exposure to it? How does the blue region of the visible light spectrum affect your health? What are a few good things about the blue light-waves of visible light? How are changes in lifestyle and evolution of technology increasing the blue light effect? How can you counter the harmful effects of the blue region of the visible light spectrum? Do you need to feel so blue? The truth is that the blue light is not just the forte of digital screens. It is everywhere since it is a part of the natural visible spectrum of light. It is the part of the low frequency and high energy spectrum that has the power to disrupt our circadian rhythms. You can probably apprehend the dreadful truth by now – blue light is natural and it is everywhere around you! The sunlight emits the largest amounts of blue light. Even with adverse weather conditions, it is highly unlikely that the sunlight around you does not expose you to blue light. Natural blue light has wavelengths between 380 nm and 500 nm. The blue-violet wavelengths are right next to ultraviolet (not visible to human eyes) in the spectrum. Then there are the artificial sources of blue light, so even if you have heaved a premature sigh of relief, you need to straighten up and read on. The leading artificial sources of light include the compact fluorescent lights (CFLs) and light emitting diode (LED) light sources. So, even if you work in an artificially lit environment throughout the day or late into the night, you are not limiting your exposure to blue light in any way. Over the years, working in blue light rich environments can lead to long-term eye damage. Modern research has linked several cases of age-related macular damage (AMD) to long-term exposure of the eyes to blue light. Additionally, almost all digital devices with LED screens or LCD screens emit blue light. This includes your PC monitors, laptop screens, TV, mobile phones, and tablets. This is especially bad for the night owls who like stretching their daily work into the late night and enjoy a late night social hobnobbing on their mobile phones. No matter how advanced your mobile, tablet or laptop is, it is a strong source of blue light. 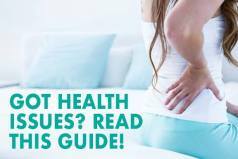 So, if you were telling yourself that you are using the best of the best devices to protect your health from the ill-effects of technology, you need to do a double check about the facts. CFLs emit about 25% of the blue light, LEDs emit about 35% of it, but the majority of the exposure comes from gadgets with screens we use on a daily basis. In case you are suffering from poor sleep quality or recurrent bouts of delayed sleep onset, you need to think about your pre-bedtime gadget use routine. Over the last decade, LEDs have become the illumination of choice for a lot of industries and sectors. Scientists, tech experts, and developers have used light emitting diodes for various purposes, from artificial indoor lighting to lighting up the mobile device screens, etc. RGB and SSL illumination systems are the most responsible for introducing the blue light into our daily lives. Several offices and individual homeowners invest in white-light LEDs to minimize their exposure since the combination of the blue LED with a yellow phosphor reduces blue light emissions. However, over time, the white LEDs deteriorate due to bleaching of the phosphor and they revert to emitting blue light within a year or so. You may wonder how a certain portion of the spectrum can do more harm to your retina than the others. The early concepts started back in the late 1990s when research proved that mice retina without the presence of rod photoreceptors could detect the presence of light. The use of double knockout mice showed that these rod cell lacking mice were capable of sensing the dark and light phases. They could successfully reorient their circadian clocks to respond to the changes in the photoperiod and scotoperiod (dark-period) just like a control mouse without any mutations in their rod photoreceptors. Further research showed that photo-protein melanopsin is responsible for the action of recognizing light particles from certain regions of the visible spectrum. This melanopsin or Opn4 is also responsible for papillary reflex actions in mammals. Now, this is suggestive of the fact that melanopsin and rod/cone cell photoreception are complementary to each other. Melanopsin plays a significant role in the circadian rhythms in the human population. It is critical for the production and regulation of melatonin, the hormone that controls our sleep-wake cycles. Melatonin suppression occurs when melanopsin absorbs light with a wavelength average of 460 nm. Blue light and sleep elicit a very intricate circadian rhythm control mechanism in human subjects. Since this region of the visible spectrum has been the subject of several studies, scientists can confirm that the blue region of the spectrum is more active than monochromatic light in the suppression of melatonin production. In fact, e-readers and mobile phones emit a high flux of blue light that interferes with the circadian rhythms of the users. 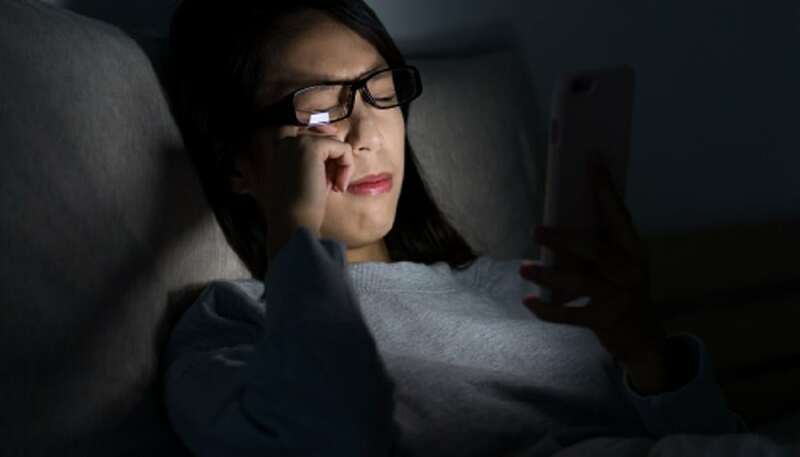 It becomes especially difficult for individuals living in regions that experience six months of light and six months of complete darkness to orient their circadian rhythms effectively after repeated exposures to the blue light emitting digital devices and artificial lighting. The eventual lack of a quality sleep can lead to insomnia or delayed onset of sleep that can further have deleterious effects on the individual’s daily performance. Lack of sleep affects long-term memory, cognitive abilities, alertness and decision-making mechanisms. In fact, excessive exposure to blue light can also lead to reduced healing powers, increase in fatigue and a drastic increase in the chances of getting cancer. Researchers have also discovered that there is a certain connection between blue light and eating disorders. Several types of research show that continued exposure to blue light can affect retinal health and functions in individuals irrespective of age. The most common form of retinal damage is photochemical. This occurs when individuals expose their eyes to high-intensity light (wavelength of 390 nm to 600 nm). Investigations prove that the presence of blue light in high intensities can worsen the damage of external light receptors in the retina. Blue light damages the cone cells of the eyes as well. This can compromise the fine ability of individuals to perceive the intensity of colors. While some reactions at the cellular level are responsible for the way your retina suffers damage from blue light exposure, the result is always the same. Blue light can damage vision, and it hastens the onset of age-related macular degeneration (AMD). In short, there are plenty of disastrous effects of blue light which makes us wonder why blue light is so common in our immediate environment and if there is anything good coming from it at all. Since every black cloud has a silver lining, we were interested in looking for a few ways in which blue light might be good for you. However, always remember to limit the exposure to it. Have you ever heard of season affective disorder (SAD)? It is when a person’s mood depends on external cues. The lack of sunlight, persistent cold and months of snow are highly responsible for depression in the Scandinavian countries. This is a recurring disorder that begins with fall and lasts throughout winter for many. Psychiatrists and therapists are using blue light to treat depression caused by seasons and the lack of natural light. Since blue light can stimulate the synthesis of melatonin to promote sound sleep, increase alertness and improve morning-time wakefulness, it gives the therapists a new and non-intrusive way to control the circadian rhythms of their subjects. Blue light therapy has fewer side-effects when compared to standard medications for depression and sleep disorders. The next time you need to wake up early consider standing under the brightest LED light or CFL light and you may find it effective ino driving sleepiness away! Sources of blue light include the sun, LED and CFL light bulbs, computer screens, tablets, mobile phones and even our good old television sets. You could say that blue light is everywhere. Where there is the light, there is small percentage of blue light as well. As per the Vision Council of America, almost 75% of the population wears glasses or contact lenses. A lot of this population has to do with the regular use of electronic screens either for hobby or work. The percentage of people using gadgets for vision correction is constantly increasing and some investigations point towards the increasing number of blue light sources as its cause. In the US, 7 out of 10 urban parents allow their two-year-old kids to play with tablets. By the time kids are four years old, they develop an addiction to smartphones and tablets. Over 90% of modern kids know how to use smartphones. Almost 88% of the teenagers in the US own more than one smartphone that they use for over 4 hours a day. The average person spends one-fourth of their day on a smartphone, and considering 81% of the US adults do so, the raging number of people suffering from sleep disorders is not a surprise at all. Continuous use of mobile phones, gaming consoles and laptops increases chances of sleep deprivation in young adults. Adults report feeling excessive fatigue following persistent use of LED technology in daily lives. Regular use of electronics and resulting sleep disorders increase the risk of obesity in the present American population. Children indulging in long hours of gaming on consoles or computer show visible signs of fatigue and slow learning abilities. Increasing exposure to electronic devices increases the onset and progression of AMD and other retinal disorders. Blue light exposure directly dictates the maturity of cataracts in adults. There is a connection between blue light exposure and incidence of cancer in all age groups. It increases the chances of breast cancer and prostate cancer in women and men respectively. It can have a long-term effect on memory functions in both adults and children. The bad effects of blue light outdo its benefits. Unless you are opting for a controlled blue light therapy session under expert care, you should think about minimizing your daily exposure. Blue light affects different people in different ways. While some can experience deleterious effects within a short period, others may not face the harmful effects for years to come. You should minimize your exposure level irrespective of the effects you are experiencing right now. It is always smarter to find a way to control your exposure levels than deal with the consequences later. Scientific and technological advancements have helped us find some ways to protect ourselves from blue light exposure. Carotenoid supplements: our eyes have their light shield near the retina – retinal pigment epithelium. It acts as a protection against the intense light of various wavelengths. Research shows that including carotenoid in our daily food can help our eyes maintain this natural shield and bounce off the harmful blue light waves from the surface of the epithelium before it hits the retina. The absence of this epithelial layer or its degeneration over the years increases the chances of AMD in people. We can absorb carotenoid from our regular diet, but the inclusion of supplements in our food improves our ability to protect ourselves from the blue wavelengths of the visible spectrum. Any yellow and orange vegetables like carrots, tomatoes, and apricots are natural sources of carotenoids. Lutein and zeaxanthin are useful supplements that can help maintain the pigmentation of the retinal pigment epithelium. This can protect you from the unwanted harmful effects of blue light. Blue-light blocking lenses: filters and lenses that can successfully block blue light have been around for ages now. You may have noticed that the regular sun protective eyewear that you use outdoors, usually does not work well indoors. They block all visible spectrums of light and decrease the total intensity of light reaching your eyes. So, if you were planning to use your regular shades to minimize blue light reaching your eyes while working on your PC or laptop, you should think again. There are several brands of scientifically developed and ophthalmologically approved blue-light blocking glasses you can find at the pharmacy or online stores. 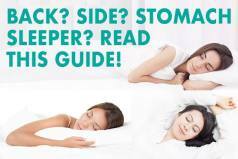 They can cost you over $80, but they can also buy you a great night’s sleep! At the same time, try to find blue light blocking screen filters for your TV, monitor, and laptop to minimize your exposure. A recent publication from the American Academy of Ophthalmology lays stress on the amount of blue light emission from street lights. Blue-light blocking lenses can help you block light as you travel back home from work, and help you get a good night’s sleep. Specialty light bulbs: if you stay indoors during most of the evening, you may want to reconsider your home lighting. LED light bulbs are definitely energy friendly and environmentally friendly, but are they friendly towards your health? LED and CFL light bulbs emit high levels of blue light, so you need to check if your brand thinks of human circadian rhythms as well. The new-age energy efficient light bulbs minimize the blue light exposure at night and increase the emission of blue light during the morning. Knowing blue light’s melatonin suppressing effect, it is easy to understand how that might be beneficial in regulating the circadian rhythm of the homeowner. In fact, while opting for night-time, blue-light minimizing bulbs, why don’t you check out the new day-time bulbs as well? The perfect balance of blue-light exposure can help you get back in sync with your biological clock. Blue-light filter applications and software: some smart devices now come with reading filters. These are add-on filter options that can cut down blue light emission. You don’t need to attach a physical filter to the device, but just switch to the tool or application to reduce the emission. Some mobile makers including Apple now offer blue-light filters for their device users. There are several open source applications for Android users as well that can auto adjust the levels of blue light emission from the devices as per the natural or ambient lighting of the user. This can significantly cut down the total blue light coming from your devices and the total emission you are exposing yourself to by using electronic gadgets with screens every day. Try the 20-20-20 rule: according to this lifehack, you need to look away from your monitor or your phone screen every 20 minutes. Look at an object at least 20 feet away for about 20 seconds. At the same time, blink more often to keep your eyes moist. Artificial tears can help minimize digital strain on your eyes. Not exposing yourself to natural light can have adverse effects on your health and circadian rhythm. So be very careful about the changes you introduce in your daily life to avoid blue light exposure. Maximize exposure to natural light during the day: To experience life to the fullest and live a healthy life, you should maximize your exposure to natural light in the morning. If possible, shift your work-desk near the window or invest in a bright light that emits at least 1000 lux of light. Modern offices are not nourishing towards the internal body clock. You need to take a few extra measures to ensure that your circadian clocks stay in tune with the external clocks. Enjoy life outdoors: Enjoying outdoor life is a splendid way to boost your health. Start by camping on the weekends or hiking with your friends and family. You need to spend at least two days in the woods or in the wilderness to restore the natural life-force you need to plow through a month’s blue-light infused slogging. Camping and hiking promote a more natural setup that is devoid of bright lights post-dusk. This can expose you to over 13 times more light naturally and it can also shift the sleep cycle to 1.4 hours in advance. The study also outlined that campers felt fresher and more active on the following weekday when compared to the individuals who stayed in homes. Of course, the most useful way of cutting down the exposure to blue-light is limiting the time spent in front of screens. However, if you work on the PC or the laptop on a regular basis, you will indeed find it very difficult to do so. At least try to limit your cell phone and laptop usage to 3 hours before bedtime and limit your television time before bed too. A short trip to the mall or the arcade right before bedtime can also increase your alertness due to the bright lights. You need to control the kind of light you are exposing yourself to every evening and immediately before sleep. So, plan your day wisely, get off the laptop, phone, and computer at least a couple of hours before bed, and try to use dim red lights or green lights as your night-light. Digital strain is real: over 60% of Americans report feeling the strain in their eyes at the end of the day. People spend over 2 hours at an average using two electronic devices simultaneously. The symptoms of digital strain include dry eyes, fatigue, blurred vision and pain around the eyes. The contributing devices include televisions, gaming consoles, e-readers, tablets, computers, laptops and mobile phones. 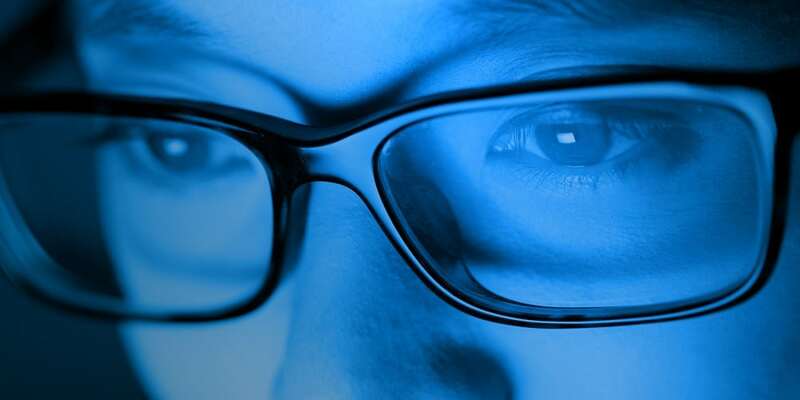 Blue light is taking a toll on your eyesight: do not pass this over as a fad. It is a scientific fact that international research institutes have backed up over the years with thorough investigations. Blue light is the biggest culprit behind digital strain. Aside from drying up the aqueous layer in the outer region of the eyes, it causes considerable retinal strain and damage. Children are exposing themselves to blue light: the exposure to blue light is not a reality for adults only. Children are choosing tablets and mobile phones over outdoor games every day. 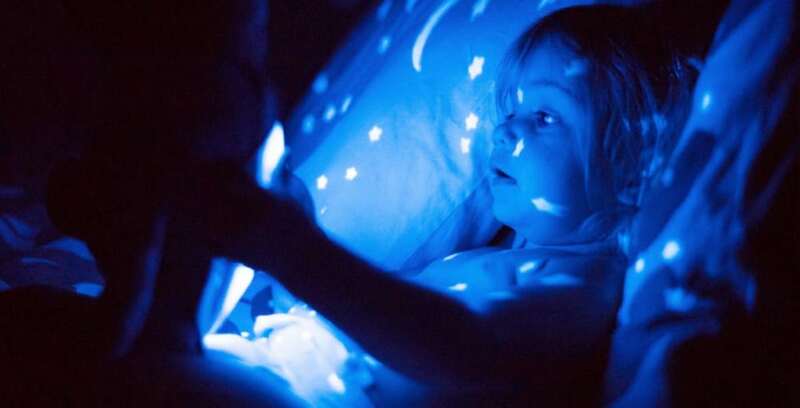 Toddlers are reporting symptoms of digital strain as a result of increased exposure to blue light coming from smart devices. Our natural blue light defense is bad: even with extra carotene intake, our blue light defense is not as strong as it should be to protect our eyes from the daily dose. All visible blue light easily passes through the lens and reaches the retina. This causes increased incidences of cataracts, chronic dryness, impaired vision and even retinal cancer. Blue light can challenge health: aside from ocular health challenges, blue light can pose several threats to your heart, liver, and brain. Studies have linked increasing exposure to blue light with depression, heart diseases, obesity and different types of cancer in the patients. Understanding the relationship between blue light and obesity is also important. Research shows that increasing exposure to blue light at night causes cortisol levels to rise boosting hunger. If you feel the need to binge at midnight, now you know whom to blame! The impact of blue light on circadian rhythm is so profound that NASA went to the extent of changing all the blue light emitting light sources in their international space station with those that emit longer wavelengths at night. That was not a budget venture, but the gravity of the impact of the blue light waves led the experts to take such an expensive step. Taking care of blue light emissions in your immediate environment may not be as difficult as you may think. Switching out your current LED and CFL light bulbs with the newer white light emitting light bulbs may sound like an expensive affair initially, but the newer light bulbs promise better energy efficiency. In the long run, the new LED technology will not only preserve your eyesight and good health, but it will also help you save more on your monthly energy bills. Powering your day with brighter LEDs can also counter the effects of post-dark melatonin suppression by the prevalence of blue-light-emitting diodes to a certain extent. Cutting down blue light in your environment will also boost your psychological health. Sleep is responsible for a lot of mental and physical restorative processes. Once you switch from the blue light emitting diodes to white light or more natural light sources, you will gradually feel the recurring depression recede. Light makes us feel better during the day but depriving yourself of darkness 24x7 can have some side effects. Blue light compromises the night-time physiology of your body and triggers wakefulness irrespective of the hour. Powering down a little after dusk and switching to the low-blue light emitting light bulbs across the household can do the trick for you. A study inside a sleep lab showed that people who engaged in reading or socializing on the digital devices often experienced a drop-in melatonin levels. After five days of using e-readers for 2 hours before bedtime, their melatonin levels dropped by 55% or even more. They experienced lesser REM sleep. REM sleep is necessary for its restorative actions on human physiology and psychology. 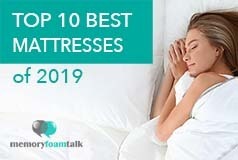 (Click here to see our top 10 best mattress reviews and pick a mattress that can provide you with a quality and restorative sleep.) People engaging in e-reading right before bedtime often experience disrupted non-REM sleep. As the result, they are more prone to feeling groggy, taking more time to process new information and faltering with remembering facts. Blue light disrupts more than sleep. It has the power to usurp the natural circadian rhythm and upset the restorative balance in the natural human body. However, people who engaged in reading books, magazines or newspapers did not report higher levels of fatigue, learning problems and recollection problems.